Houston: Sewa International, an Indian non-profit organisation in America, has raised over $10,000 for the flood relief operations in the deluge-hit Kerala. Nearly 200 people have lost their lives in Kerala since 8 August due to floods caused by rains and landslides, while over 3.14 lakh people have been moved to relief camps. The southern Indian state is facing its worst flood in 100 years with 80 dams opened and all rivers in spate. A body blow has been dealt to the scenic state, with its infrastructure, standing crops and tourism facilities severely hit. 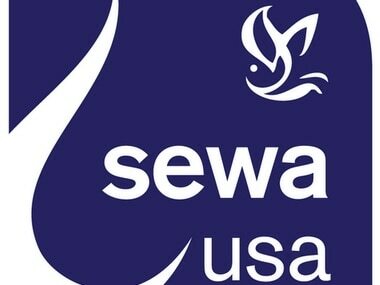 Sewa International USA, has raised over $10,000 towards the flood relief in Kerala, where nearly 200 people have died in devastating floods and thousands have lost lives and have been rendered homeless, the organisation said in a statement. Fresh from the painful memories of hurricane Harvey just a year back in Houston, Sewa International immediately rose to the occasion by setting an immediate goal of raising $1,00,000 for the relief operations, along with its India partner, Deseeya Seva Bharati Keralam, it said. Over 5,000 Sewa volunteers have fanned out distributing food packets and cooking kits, and are opening free kitchens and medical camps to help the flood affected. "Given the immediate need for help, we decided to release $10,000 in our first tranche of funds toward flood relief. We are in regular contact with our India partner, and our volunteers are joining hands with other relief agencies to provide as much help as we can in this hour of need," Swadesh Katoch, director Disaster Relief said. On their Facebook page they have appealed Indian-Americans to open their hearts, and wallets and purses, to help us help the people in distress. Meanwhile, Houstonians originally from Kerala, who were preparing for Onam have cancelled all festivities. "Such festivities hold little appeal when friends and family in Kerala are losing homes and loved ones in catastrophic flooding. Even though the water has started receding, the recent flooding has killed hundreds of people and displaced hundreds of thousands," Biju Pillai, president of the Sri Guruvayurappan Temple in Houston told PTI. Houston, which is home to over 62,000 Keralites, cancelled the celebration and attended the India Culture Center's Independence Day celebration to raise money for flood victims back home.